Rowing in Zwift (high quality software) who's interested? Re: Rowing in Zwift (high quality software) who's interested? Bumping an older thread but it seems to be the definitive one on the topic of using a Concept2 rower in Zwift. I bought an Apple TV recently for the sole purpose of Zwifting, since nothing else in my household has the computing horsepower to make this work. To bridge the Concept2 Model D PM5, I first tried the 4iiii Innovations Viiiiva ANT+/BlueTooth HRM - that was no-dice - it simply doesn't recognize or understand the PM5 as a valid wattage sensor. It may be a perfectly fine HRM for "non-edge cases" trying to Zwift - people with bicycles that have ANT+ based sensors and/or BTLE equipment - but it's software isn't written to grok a rower. Since I'm not in the Apple eco-system (Apple TV aside), the only options left seemed to be buying the North Pole Engineering "CABLE" (Convert Ant to BLE) ANT+ to BLE bridge. That gizmo requires iOS to configure though, so I picked up a used iPod Touch 6th gen on Kijiji and that's where things get interesting. Any iOS device that has BTLE/BT-Smart - which means an ancient iPhone 4s, without a SIM card, or an iPod Touch 5 or 6 would work. (whatever generation of iPad that had similar BTLE capability would work too). Maybe you or a friend have an old iPhone 4s or 5/5c/5s/5se or iPod Touch 5 sitting in a drawer somewhere, unloved - it'd make a great free bridge between the PM5 and Apple TV via the PainSled app. The iPod Touch makes a great Apple TV remote, and run Zwift Companion nicely. So, while I look forward to the options the CABLE will provide (running silently without interaction), and it still requires the iOS device to configure, I'm digging the setup I'm working with now. BTW: NPE hinted they were looking at Apple TV and Android apps in future, which would negate the need for any iOS device to configure the CABLE bridge. Oh, another thing: an ANT+ HRM linked to your PM5 will pass heart-rate data via the BlueTooth connection to PainSled on iOS so as far as Zwift on Apple TV is concerned my "iPod Touch" is both a "Heart Rate" and "Wattage" sensor source. I was prepared to spend a winter stuck in the gym, grinding out the miles to see progress but Zwift-erging is going to be fun. Sounds messy and I though it was hard enough to get RowPro up and running. I think its a common problem with a lot of this type of third party software trying to interface with the Concept 2 monitor, you need to be pretty tech savvy to get it up and running, not to mention have a lot of patience in the process. There are a few incompatibilities starting to appear with the older version of RowPro now which is annoying as even when you get it working at some point it will stop working through no fault of yours. At some point Windows 10 will no doubt implement some sort of change and kill my existing set-up. I should write a more "wiki-like" post instead of my narrative - this is one of those cases of "everything's difficult until it's easy," and now that I've figured out what talks to what, I could connect a Concept2 PM5 to Zwift in less than 5 minutes. Boom! You're off to the races. Everything reconnected for me when I started my next session the following day - no re-pairing, all automatic. I haven't received my NPE CABLE ANT+ to BLE bridge yet but I understand it's configurable via app and would negate the need for having PainSled running; you could stick the NPE-CABLE to the back of your PM5 and just forget it's there, with the Apple TV merrily thinking it was the source of all your data. This is most interesting - thank you very much for sharing your experience with Apple TV. Please let us know how the NPE bridge works. Yet another C2 to Zwift connector. 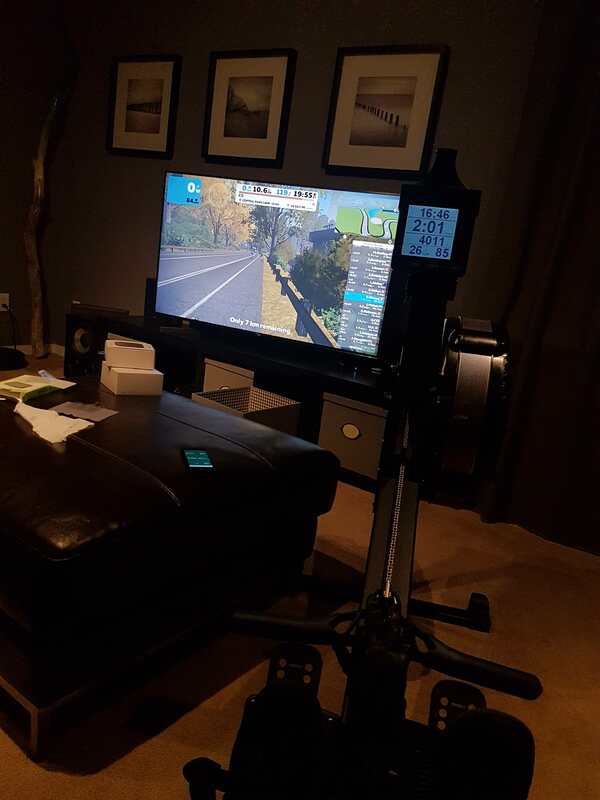 I do have a working PoC to allow riding in Zwift with the Concept2 rower. completing the Everest challenge and completing the 7 stages of the Watopia tour. That looks awesome. Do you know if anyone has a PC based solution? I have a latop with a Garmin ANT stick and the PM5 near each other. I'm working on a PC only based solution, but the issue is with Python ANT library (the wheels) missing drivers for Windows. I've not enough spare time to rewrite from scratch the already working python Linux library for the damn Windows. So, at now, we need Linux to convert PM5 data to Ant and we need Windows to run the Zwift game. Unluckily. I'm also working on a project to *intercept* PM5 Fe-C ant+ sensors on Windows and then broadcast a Zwift compatible sensor. Maybe. Cu. Paolo, 7040 km *rowed* in Zwift, unofficial level 27. We just purchased a new concept2 model d and so far, so good. I'm primarily a cyclist looking to add rowing to my workouts. 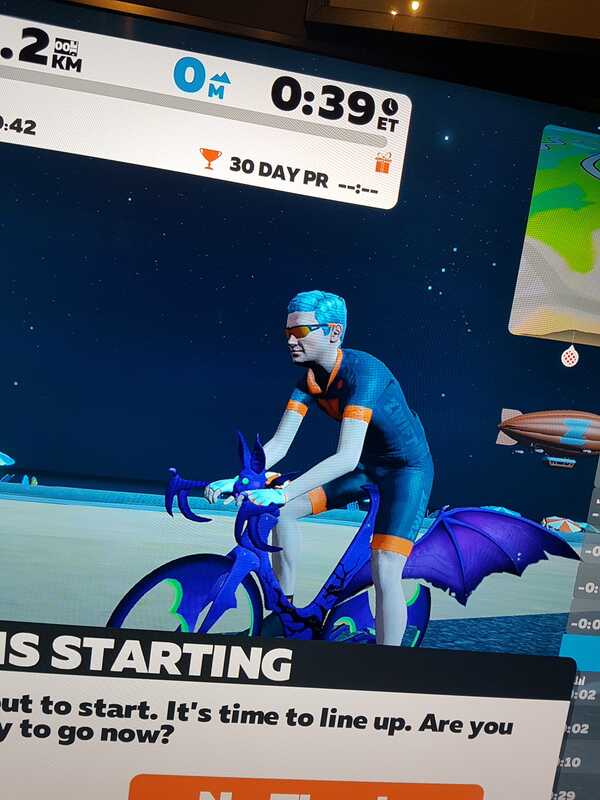 I love using Zwift for cycling and one thing I wanted to mention is that the founder of Zwift, Eric Minn, recently said in the "zwiftcast" that they were about a year away from adding rowing to Zwift. That should be taken with a grain of salt but it's the first time I've heard anyone in a position of authority mention rowing in Zwift. Seems like it's on his radar, which is good for rowers! Despite reading several threads on this and finding a poorly document youtube video I did get this to work. I wanted to see it on the big screen so I used a chromecast dongle to send the video to a HD TV. The quality was really grainy and video did not update smoothly. The notebook screen looked much smoother, and smaller of course. I'll get a usb-c to HDMI converter tomorrow so I'm sure quality will pick up. One other note, after pulling for 40 minutes I noticed the the zwift wattage was typically 25% to 30% higher than what the PM5 would display for wattage. I was pulling at a casual 160 Watts and Zwift was showing 200+ watts. With a little effort I could absolutely fly and I know I don't cycle that fast. It would be nice to have a scaling factor that I could edit in painsled settings to get the wattage a little closer to PM5. 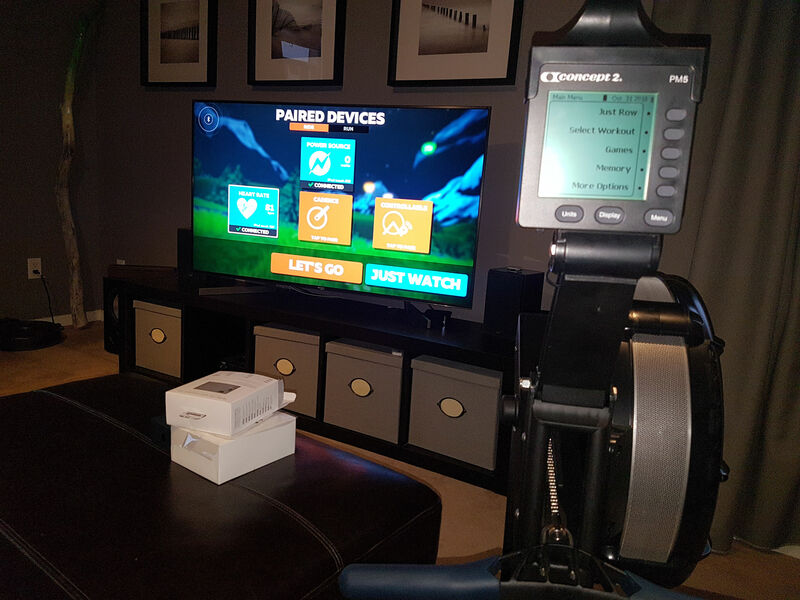 Painsled running on a phone (connected to PM5 through BT) and an iPad running Zwift which "sees" Painsled as a power meter (also through Bluetooth). Works like a charm and is not hard to set up. I'm the developer of PainSled. You can switch off the FTP boost in settings if you like. I'm doing a follow-on app called RowedBiker that allows you to make the adjustment in 5% increments. It has a couple of other goodies for rowers who want to "play" cycling workout games. It just got into the App Store yesterday. I'm blessed to have the best beta testers on the planet and they are feeding me a steady stream of things to fix, so be warned that there might be a couple of gotchas until I get another revision or two out! So if you're keen please put a like and a comment to the post so we can make it happen! The link doesn't work anymore. Does anyone have the right one? new user here as I just got a new Model D with PM5. I already downloaded all of the available iPhone apps as I already use Zwift since a month with an Elite trainer on a bike. I use that with my Apple Watch as HRM but will get a Wahoo Tickr as a HRM for the rower, mainly to display HR in RowPro. I am basically new to rowing so thought of using RowPro training plans, even though it looks very outdated as a software. Best would be to have full rowing support in Zwift with actual rowing avatars on lakes and rivers with training plans specific to rowing. I noticed that PainSled can connect to Concept2 Logbook whereas RowedBiker can't. Are you planning to add that functionality? Not sure which of the two to use then given that the RowedBiker is the newer app..
P.S. has anyone tried the Zwift training programs on the rower and which ones would be more suitable? Since I also want to use the gym spinning bike for Zwift I decided to get a PowerCal HRM. It's a heart rate monitor chest strap that works as a power meter with the power somehow calculated from heart rate. Even though reviews on the net for the PowerCal are generally negative, and it's not the same as getting the power output directly from the PM5 like the other solutions, but I thought it worked quite well. Plus I get to use it for the spinning bike. Anyway, the workout was recorded three ways simultaneously. Check out the graphs on Garmin Connect. ErgIQ is the most detailed since Krew only records strokes. ErgData would've been exactly the same as ErgIQ.